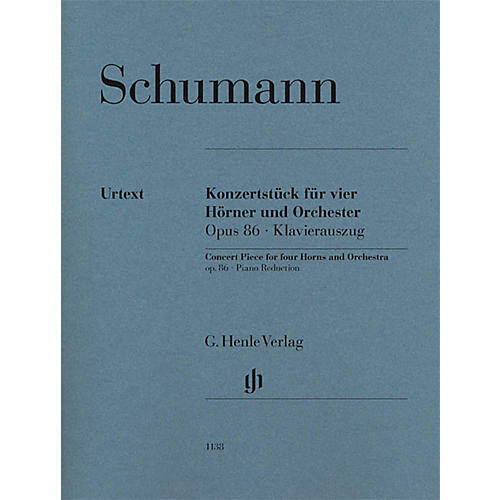 Something quite curious, I believe - It was thus that Robert Schumann described the Concert Piece for Four Horns and large orchestra in a letter and he did indeed break new ground with this work as far as the scoring and treatment of the instruments was concerned. When it was composed in 1849, the French horn was still fairly new, enabling players to play previously unheard-of runs and free modulations, a fact which Schumann made the most of, particularly with his scoring for four horns. Even today the Concert Piece is the romantic work for horn par excellence and a benchmark for all soloists.